At the Bluecrater Academy Kenric awoke early and got right to work compiling a massive inventory of scroll, potions, books, parchment, quills, ink and all manner of gadgets and gizmos he would need on his investigation into the mysterious demi-plane, Mors Frigus. One of the magical incantations to help avoid planar effects was going to cost him 300 gold pieces alone! Yikes! Kenric also began a long morning of tracking down hopeful candidates to take with him on the journey. He was pretty sure the Seekers would join him, but he was also going to ask a couple of the canons, and he wasn’t so sure about them. I woke up early, too, for I had a long day ahead of me overseeing the preparations for the grand reception for our invited guests. The dwarves of Duvek’s Mine were expected to arrive tomorrow and I was getting very excited about meeting them! Just think, there are more dwarves out there just like me – well, and the few dwarves that had taken up residence in the Hold with me. I was finally going to meet more of my people and who knows, maybe I would discover a long-lost relative or two. There was just so much to do to get ready! The gnomes of Jzadirune had been most helpful with preparations over the past week and the dwarven women of the Hold had gone far out of their way, hanging banners, cleaning and stocking up on food, ale and other necessities. But the meeting with Duvek’s was just one day away and there is still so much to do! Apparently, McCreedy left in the morning to case the Mayor’s house. I guess he’s really serious about the offer he got from Jil. We’ll see how this plays out. I’m not about to let any trouble Gramps gets into have a negative impact on the Hold or the Moonhowlers. I may just have to have a talk with that old man! Listens got a late start on the morning, but ended up at the Bluecrater Academy around lunchtime. Kenric was REALLY busy, but he let Listen’s poke around the Library of Universality, anyway. Listens spent the entire rest of the day looking into that mysterious bird in the cage symbol we found branded into some of the wooden crates in Drakthar’s Lair under the Bathhouse. He ended up finding six different variations of the symbol – a bird and a cage. Four were associated with entities in Sasserine, one was a symbol of an old Sea Prince operation, and the last one was from a House Rinehold in Kingfisher Hollow a merchant that deals in teak. He found out that the Sasserine families with a bird and cage crest were the Hinaff Family, which runs a small coffee plantation, the Elmata Family which buys and then markets fish, the crest of a Sir Ranerd who owns an entire fishing fleet and who had apparently just survived a mysterious assassination attempt, and one other ancient family that no longer exists. The Sea Princes operation was associated with the Nalard Family of Flotsam Isle. They had been completely wiped out by the Scarlet Brotherhood. Braedon spent the day working on a plan for the Meet the Moonhowlers II Party. Fancy food, drinks, entertainment (Kraghammer’s The Harpies, of course! ), a suitable location, etc. were all things he tracked down today. Karina said she spent the day exploring the nicer parts of Cauldron. She walked all day along Obsidian Avenue before she realized she had been walking in a big circle and had completed the loop six times! Oh, Karina. Dear Diary, guess what?!! Kraghammer showed up at the Hold for dinner tonight! 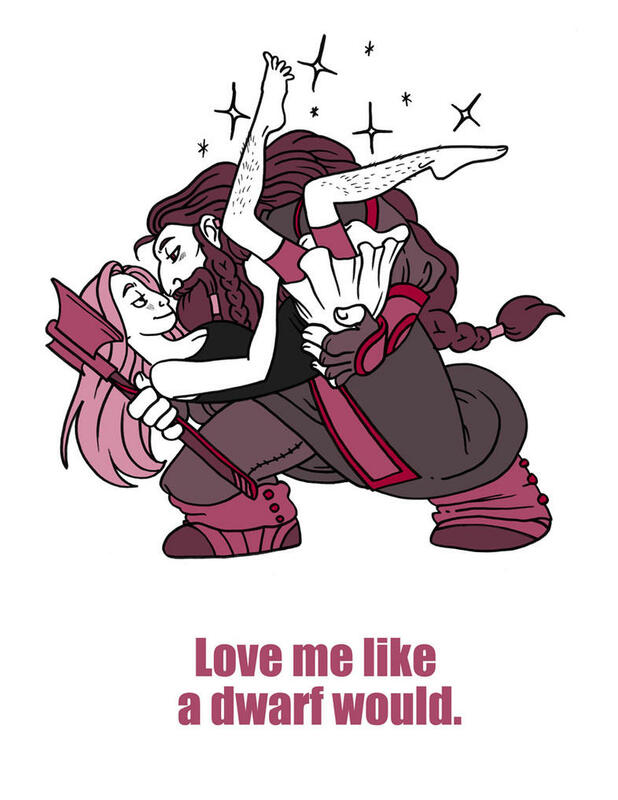 The dwarven wives were beside themselves and made it far too obvious they were trying to match us up. They brought out steins of my best ale, fried bread and haunches of ham. They sang and danced and lit candles. The dwarven husbands seemed as if they couldn’t care less about my romantic dinner and they talked loudly all about the day they had spent at the forges. Well, I, for one, had a most romantic time tonight. Ahhh…Kraghammer.